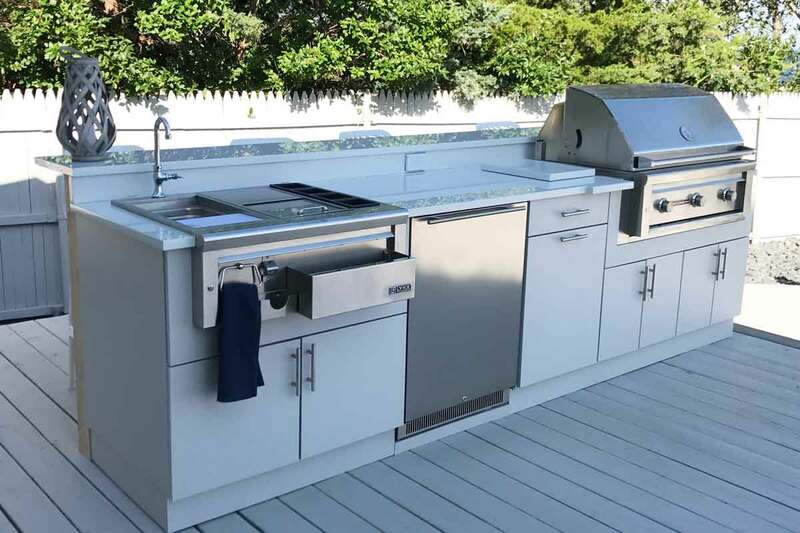 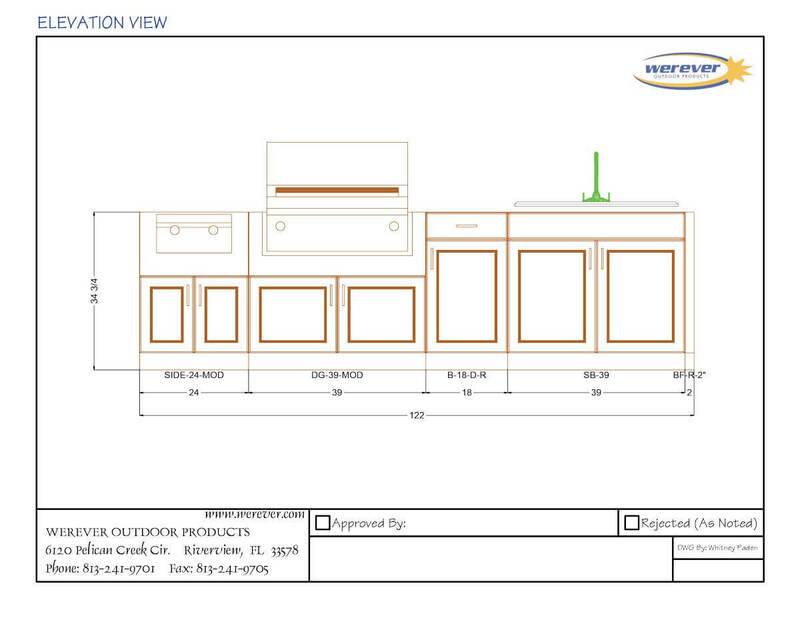 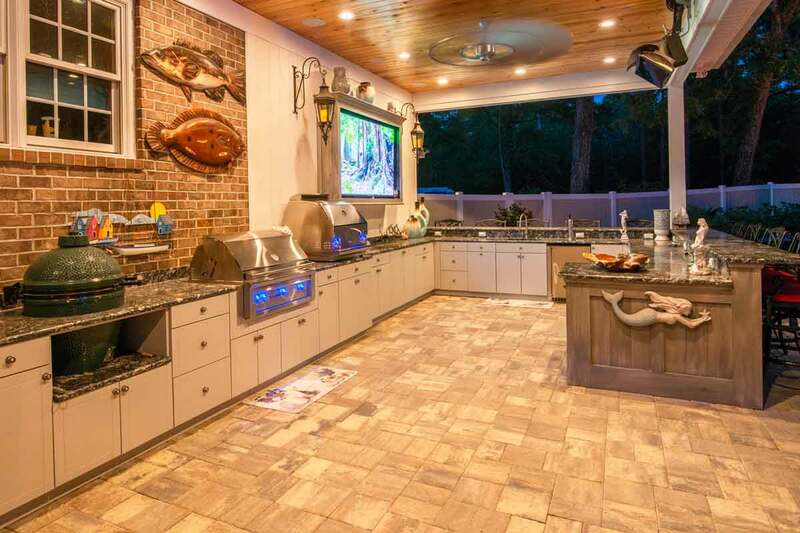 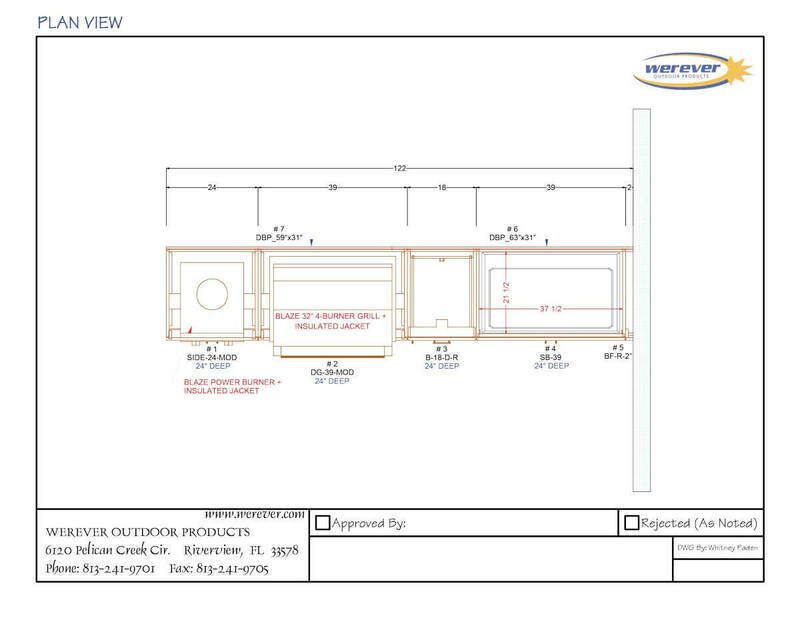 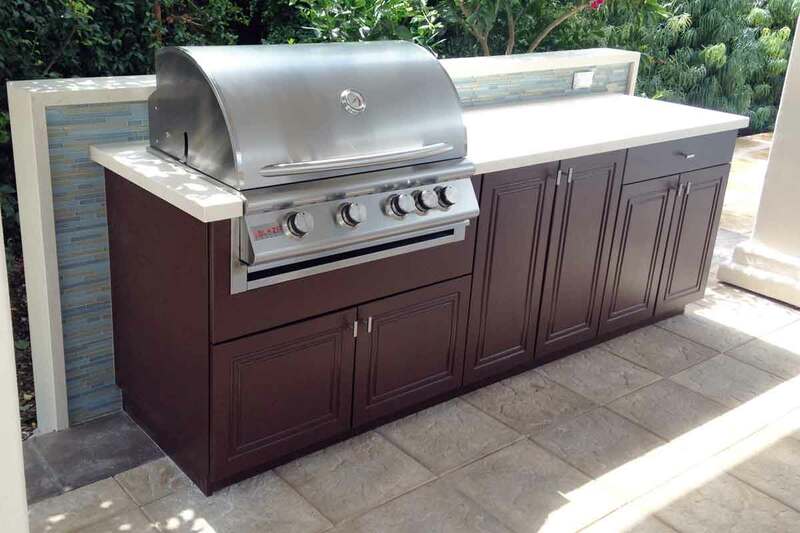 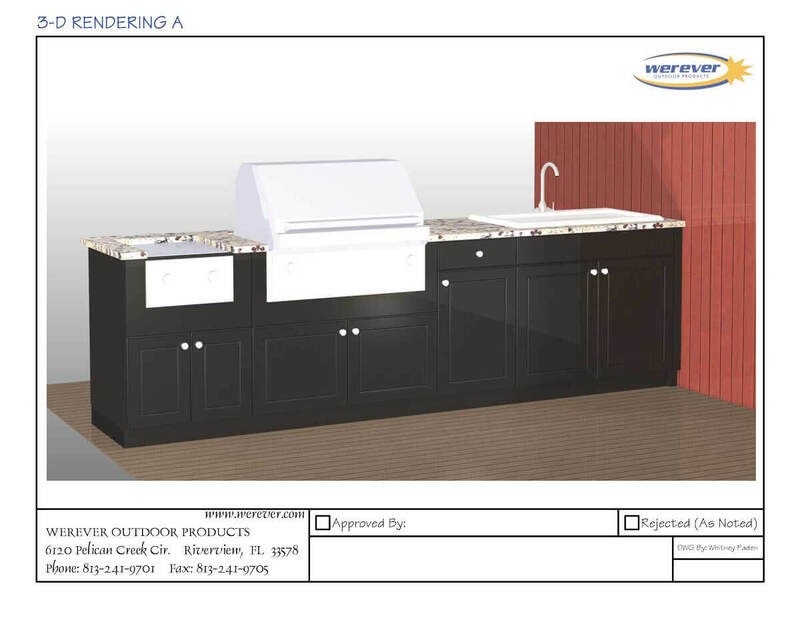 This straightforward run of outdoor cabinetry provides everything for an efficient prepping, grilling and cooking space. 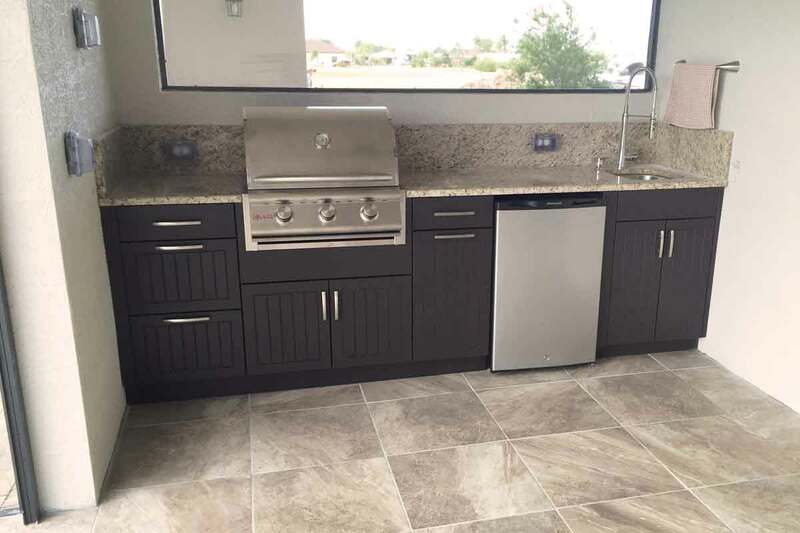 Blaze appliances are featured in the built-in Grill and Power Burner. 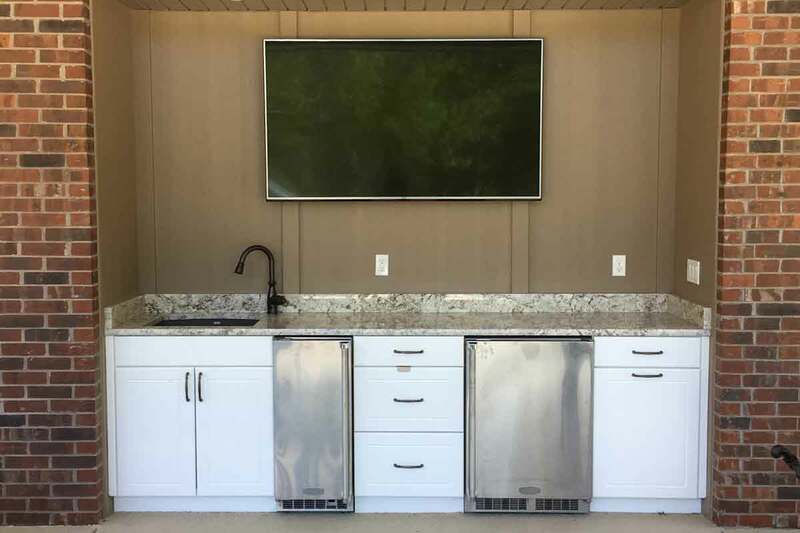 Werever cabinets provides adequate storage for pots and pans, utensils and other accessories, and houses a sink for prep and clean-up. 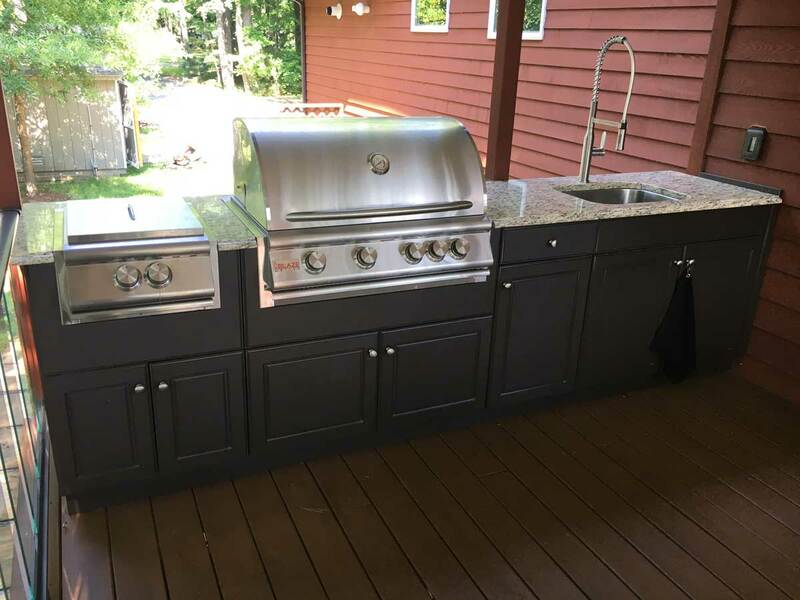 Countertop space between the grill and sink allows for plates or platters. 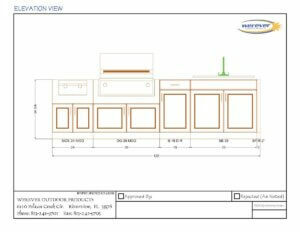 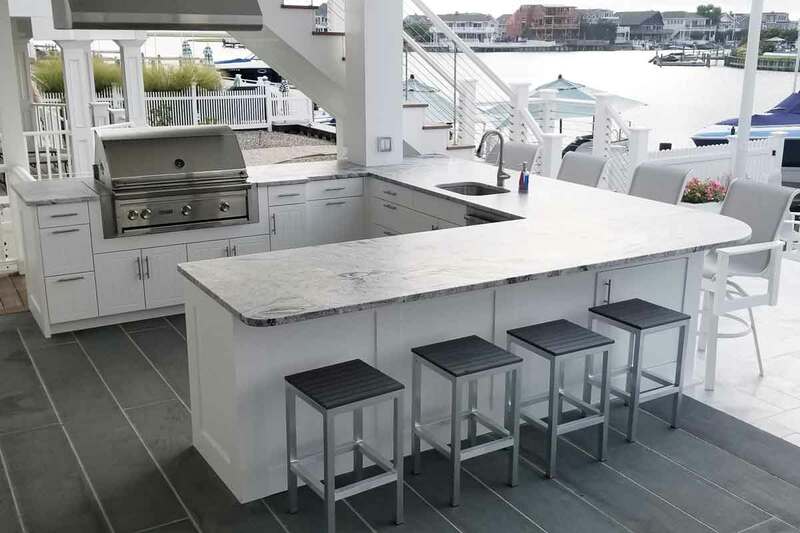 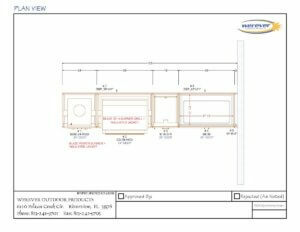 Based on the measurements the client provided of their space, the cabinetry run was designed to perfectly fit between the house wall and railing, while accommodating their unique requests for their outdoor kitchen.